The BMP21 is currently unavailable. Check back soon for its replacement: the BMP21 PLUS! 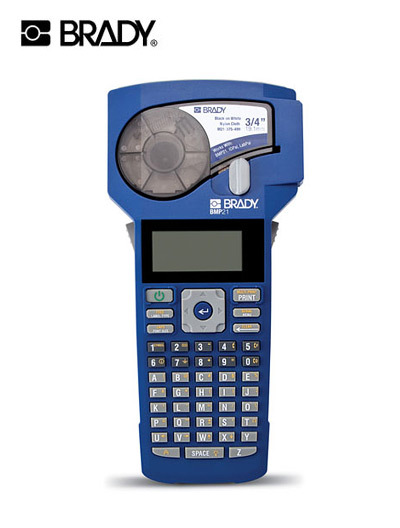 Brady BMP21 Portable Label Printer is an all-in-one labeler for voice/data comm, electrical and general industrial crews. With label materials designed specifically for harsh environments, the BMP21 portable printer can quickly and easily create clear, legible labels that stay stuck for years - despite extreme temperatures and curved or highly textured surfaces. 80 different symbols - 13 specific to voice/data comm.